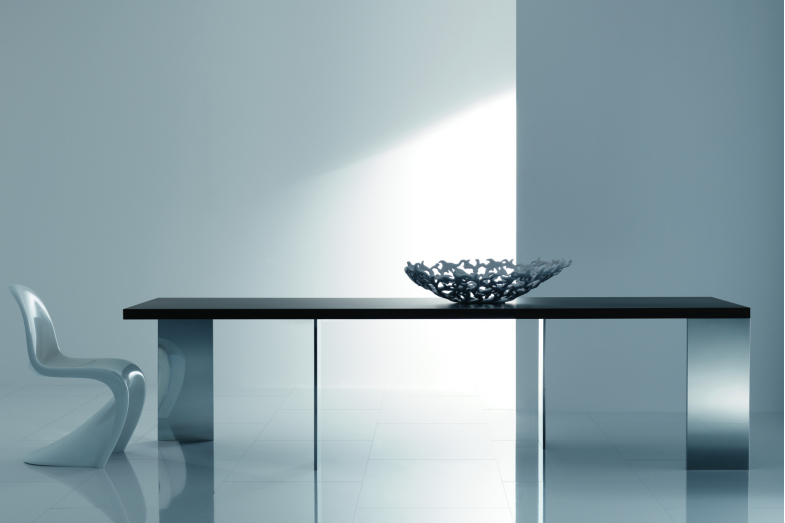 Table with thin and flat legs in polished stainless steel, placed onto different perpendicular axes. The unusual legs position has been designed to support the top in an aerial and visibly light way, granting at the same time great stability and comfortable seating around the table. The new version with back-lacquered glass top, emphasises the extreme pure and light design. WOODEN TOP: Double-panel, thick wooden top, veneer stained in oak, lauro preto or black pigmented ash.